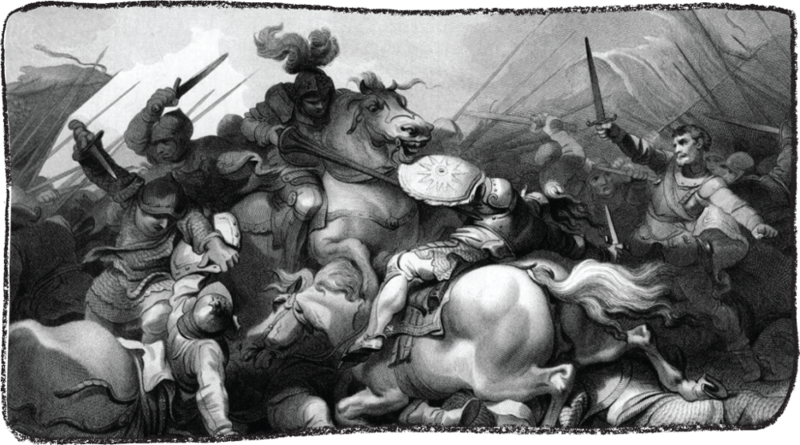 Our wine takes its name from the original Battle of Bosworth, fought on Bosworth Field, Leicestershire, England in 1485. Here the last of the Plantagenet Kings, Richard the III, was slain by Henry Tudor, becoming the last king of England to die in battle. His death ended the War of the Roses. The roots of our family’s battle were planted in the early 1840s with the first Bosworth vineyard in McLaren Vale. Our modern day Battle of Bosworth saw us convert our vineyards to organic viticulture in 1995. The White Boar (see inset) featured on Richard III’s battle standard, and was his personal device or badge. The Boar also features on the labels which go over the top of bottles of ‘White Boar’ and the Battle of Bosworth Chardonnay. Raised in the clean fresh air of McLaren Vale, Joch spent his formative years helping in the vineyard and pestering local marine life in the crystal waters off the St Gulf St Vincent, 7 km to the west of Edgehill Vineyard. No sea creatures were safe from the young Bosworth’s hunting and gathering tendencies, though the bivalves could breathe a sigh of relief once Joch had translated a couple of viewings of the movie ‘Jaws’ into real live terror of the deep. This restricted his fishing activities to what he could achieve from the boat. Following successful study at Charles Sturt University in New South Wales in viticulture (Associate Diploma 1988-1990) Joch embarked on the quintessential vinous world tour. After spending a season working for Robert Mondavi in the Napa, he then went on to do a vintage or harvest in Oregon, at Willamette Valley Vineyards. Max Allen in his book, The Future Makers; Australian Wines for the 21st Century, describes Joch as one of the ‘most important organic winemakers in Australia’. Including the 2003 Battle of Bosworth Shiraz in his annual hotlist of 100 Best Australian Wines, UK Wine journalist Matthew Jukes said that Joch is regarded by his peers as ‘an off the wall viticultural genius‘. It might be worth talking to some of his peers to find out exactly what they meant by this statement, but as it stands, it’s a pleasing observation. Joch was named McLaren Vale’s grape grower of the year at the annual McLaren Vale Grape Wine and Tourism Association’s (MVGWTA) Wine Industry Awards in September 2008. The award recognises best practise viticultural management in McLaren Vale, as well as commitment to innovation, environmental sustainability and grape growing excellence. Louise landed in Australia on St Valentine’s Day 14th February 1997 fresh from the UK, with a personal tradition of lengthy and largely unimpressive university study and long vacation travel. She worked on her cousin’s vineyard in the Adelaide Hills, but found the bracing morning temperatures during grape picking a bit too reminiscent of home, so moved down to McLaren Vale. Battle of Bosworth Wines was established in 2001 by Joch and partner Louise Hemsley-Smith and wines are made from vines that were planted in the early 1970’s by Joch’s parents. This constant spirit of experimentation in the vineyard and winery, along with traditional vinification and natural minimal processing, combined with organic and sustainable viticulture allows us to capture the purity, integrity, texture and flavour of the vineyard in our wines. 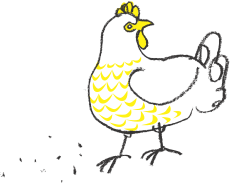 The aim is to produce balanced and flavoursome single vineyard wines that best express the qualities and characteristics of the site, in a wine style that we, and hopefully others, enjoy drinking. Battle of Bosworth makes a Chardonnay Viognier blend, a Sauvignon Blanc, a dry Cabernet Rosé, a Shiraz, Shiraz Viognier blend and a Cabernet Sauvignon as well as a very limited volume of our Amarone inspired White Boar Shiraz. As organic producers we can’t use blending components from other vineyards, or indeed other regions, even if we wanted to. We have to create our own blending components in the vineyard and winery in various ways to add complexity to our wines. Joch constantly experiments in the vineyard using different regimes – pruning, trellising, water regulation, crop thinning and other techniques, which, if they prove effective, are adopted. The use of cordon-cut Amarone style grapes in the red wines has come about as the result of one such trial. We experiment in the winery by manipulating fermentation time, fermentation temperature, the type of oak used, the time spent in oak, time on lees and a host of other processes, to best achieve the desired Battle of Bosworth style. Situated in the foothills of the Southern Mount Lofty Ranges and bound to the west by the pristine waters of the Gulf St Vincent, Battle of Bosworth is in the heart of the McLaren Vale wine region. The region is approximately 37k south of Adelaide, the capital of South Australia. McLaren Vale is almost unique in being situated so close to the sea (and some of the finest beaches in Australia) and a significant sized population centre. McLaren Vale is the home of the small winemaker, as well as approximately 300 independent grape growers who tend some 5,000 hectares (12,000 acres) of vines. McLaren Vale was one of the earliest regions to be planted to vines in South Australia, with first recorded plantings in 1838 by John Reynell in Reynella, to the south of Adelaide. With a Mediterranean-type climate characterised by warm summers and moderate winters tempered by the proximity to the ocean, winter dominant rainfall, low relative humidity and high relative evaporation, McLaren Vale’s benign climate is ideal for organic viticulture. Rain during vintage and frost in winter or spring are both rare. Annual average rainfall for our vineyards is approximately 660 mm, of which only about 180 mm falls within the growing season. Harvest dates for Battle of Bosworth wines are usually from mid February to late April. McLaren Vale’s vineyards benefit from cooling breezes which come off the ocean during the afternoon that help moderate summer temperatures. Our foothills location also enables the vineyards to benefit from the strong ‘Gully’ winds that come down from the hills in the late afternoon/ early evenings during the summer months. McLaren Vale is rightly considered one of the safest and most consistent premium grape growing regions in the country. Geographic Indication (GI) officially establishes the boundary of a region, enabling wineries within the boundary to accurately state their location, and market themselves under their regional banner. This has been important for McLaren Vale in marketing itself within the domestic market, and overseas. Geographical Indication was applied for in 1995 and received in 1997. The McLaren Vale wine region is bounded in the south by the Sellicks Hill range (a continuation of the Mount Lofty Ranges ) extends to the eastern side of Clarendon (now a sub region of McLaren Vale), then north to Reynella and bound to the west by the Gulf St Vincent.